Hey friends! 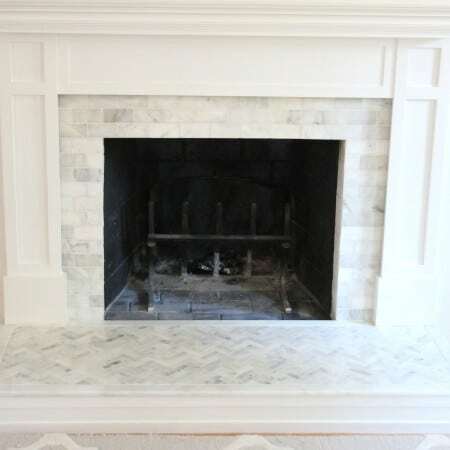 I have another small DIY from the fall One Room Challenge that I thought might be timely for some of you in snowy climates!! 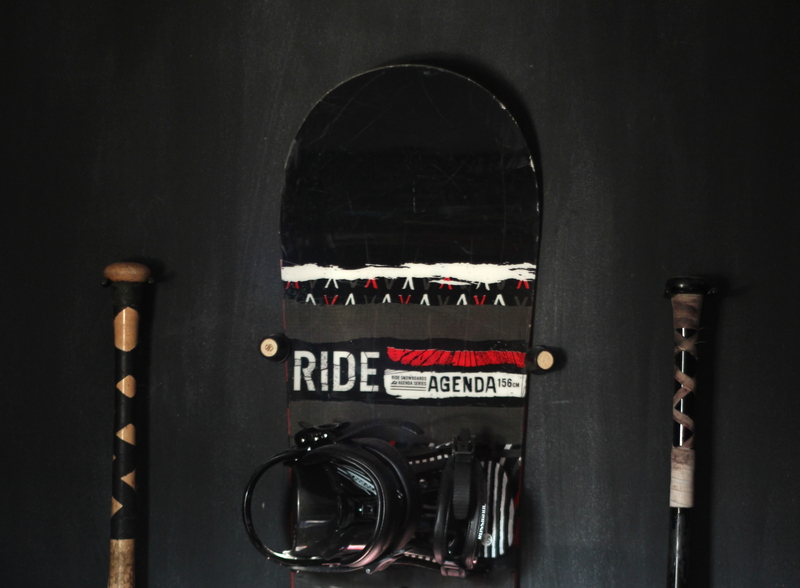 Peter came up with the idea to hang his snowboard on the wall of his room when I was working on it this past fall. Functional art at it’s best! It covered two needs at once – storing the snowboard out of the way and serving as cool decor that represents Peter’s interests. 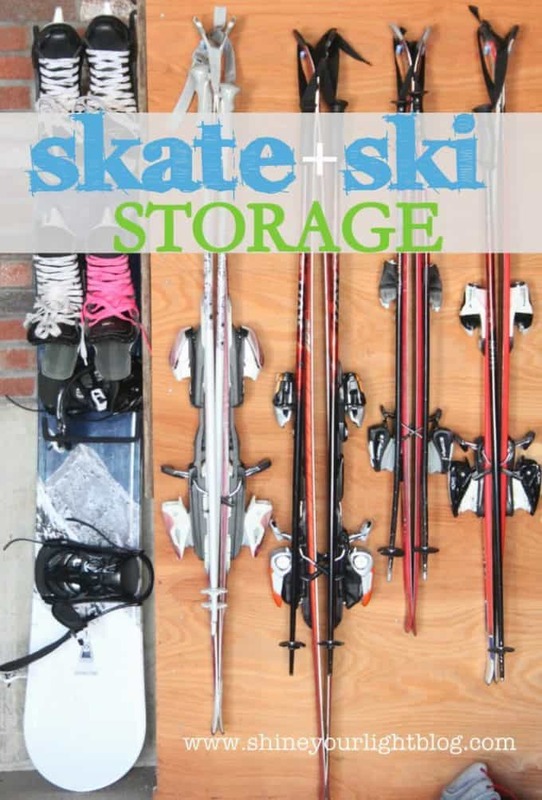 You can buy snowboard wall mounts for $16-20, but this is a super cheap and effective alternative to store your boards. 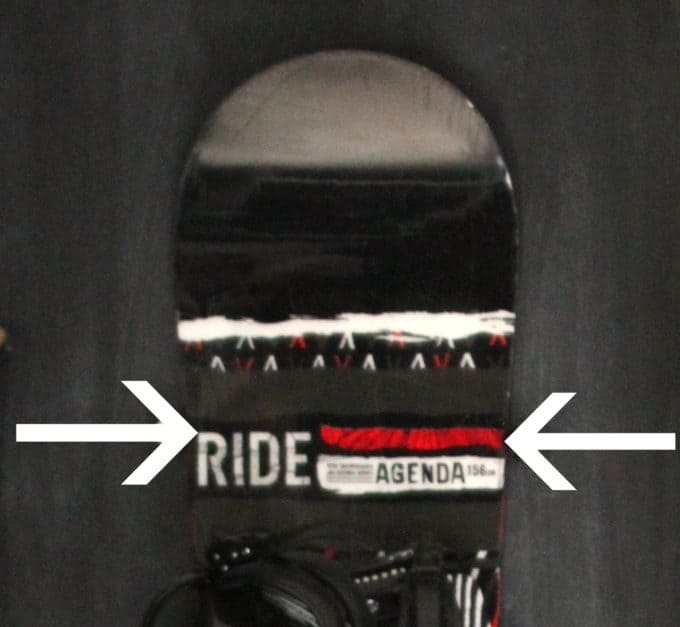 On your snowboard, measure the width at the top where it starts to curve inward…. …then transfer that measurement to your wall. 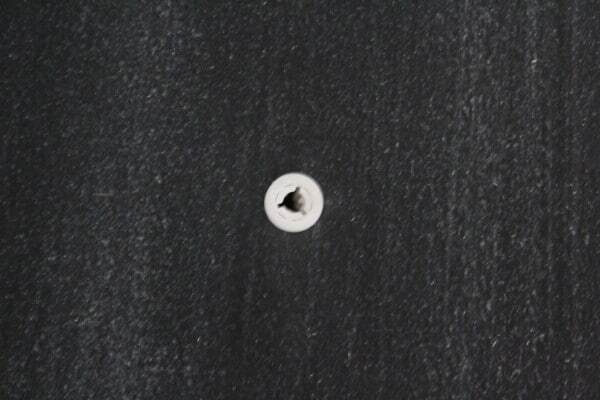 Drill pilot holes (using a drill bit slightly smaller than your anchor) and install anchors with a hammer. 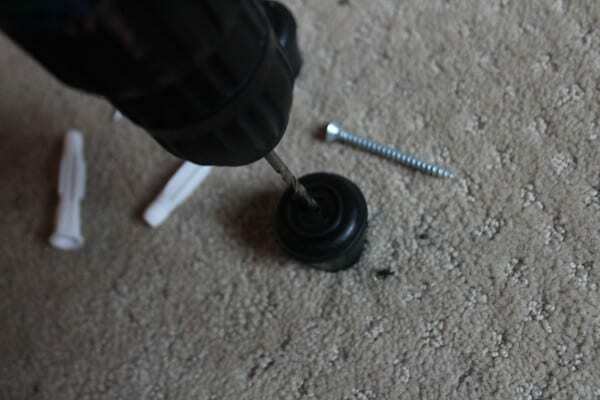 Drill a hole in the center of each rubber tip using a drill bit that is smaller than your screw (doing this directly on your carpet is not recommended 🙂 ). 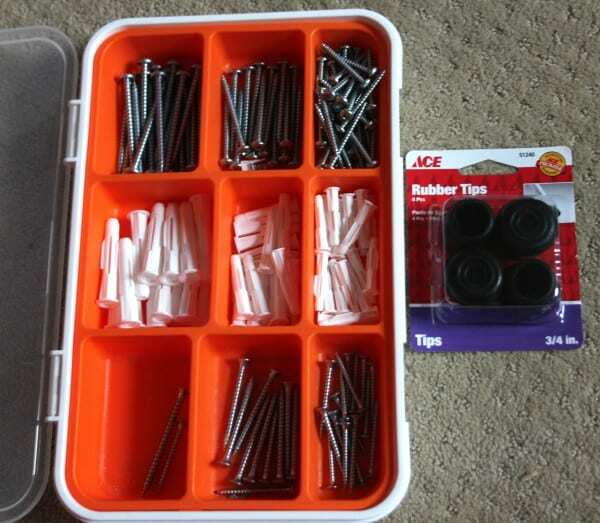 Place the rubber tip over the anchor with the open side facing you, and attach the wall with a screw. Follow suite with the other rubber tip. At this point, I hung Peter’s snowboard but the hollow rubber tips weren’t sturdy enough – the board pushed them to the sides – so I simply took a cork, cut it in two with a pair of scissors and hammered the cork halves into the rubber tip. The little rubber & cork stoppers are firm and hold the board (with bindings) in place. The board is really easy to hang and take off. I thought about coloring the cork with a black Sharpie so it just recedes into the wall, but yeah….I haven’t. I do love how the colors of Peter’s board compliment his room palette of black, white and a bit of red. 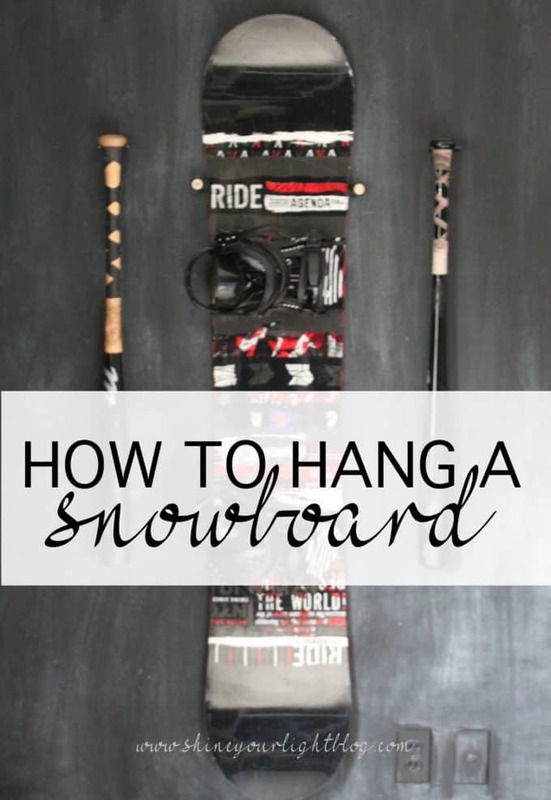 This was such an easy way to hang the snowboard and keep it safe and out of the way, and it’s so cheap – you could hang 2 boards for around $5-6. Hanging your board is a great space saver, and would work great in a garage, basement, apartment, kid’s room or rec room! I love taking advantage of vertical storage. 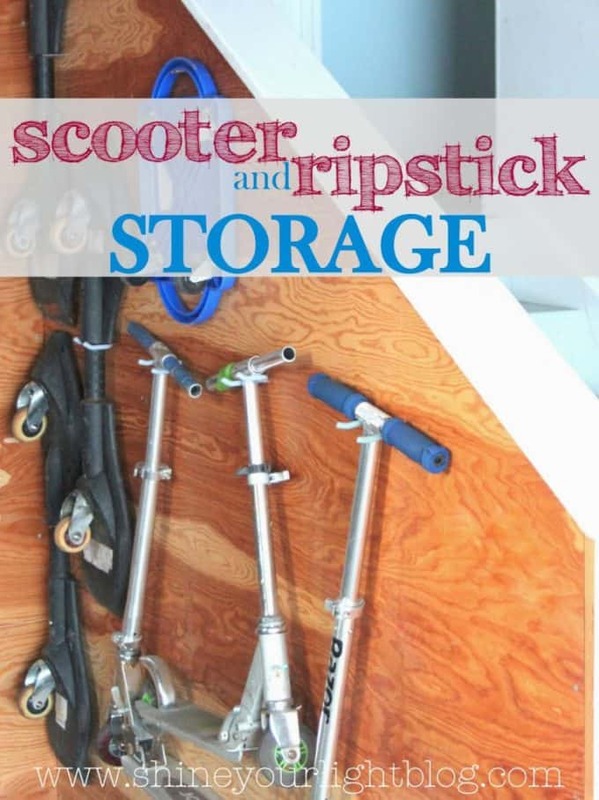 If you get fired up by storage and organization ideas like this here are a couple more posts you might enjoy (just click on the photo and it will take you right to the post). a snowboard for a teenager! Wow Suzanne, how lucky to have a musician in the family! I love guitars hung on the wall as display – functional art! Hope you are having a great week my friend!